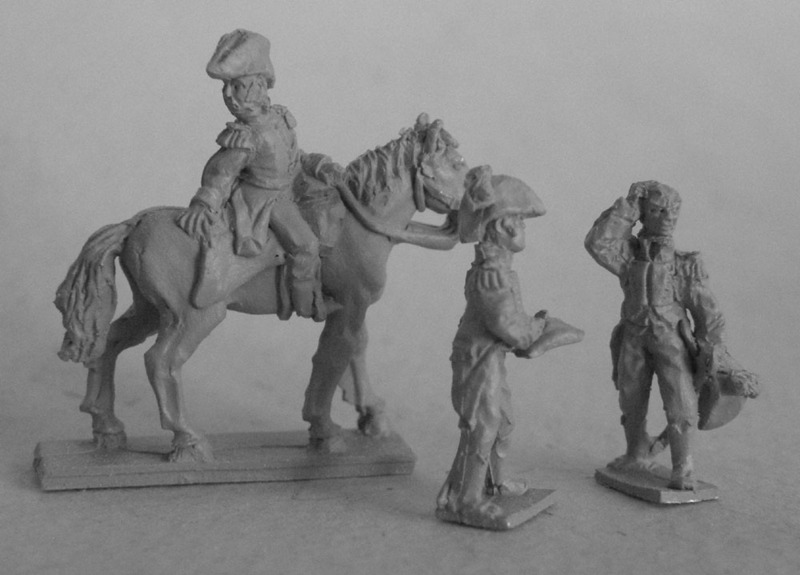 Royalist Generals (Osorio) [RG-02] - $5.00 : Grenadier Productions,, Home of Liberators! Brigadier General Mariano Osorio and 2 aides-de-camp. Mariano Osorio was a personally decent man who was utterly unsuited to lead armies in battle. Aided by numerical superiority and dissension within the Patriot army that bordered on open civil war, Osorio had recaptured Chile for the Spanish crown in 1814. 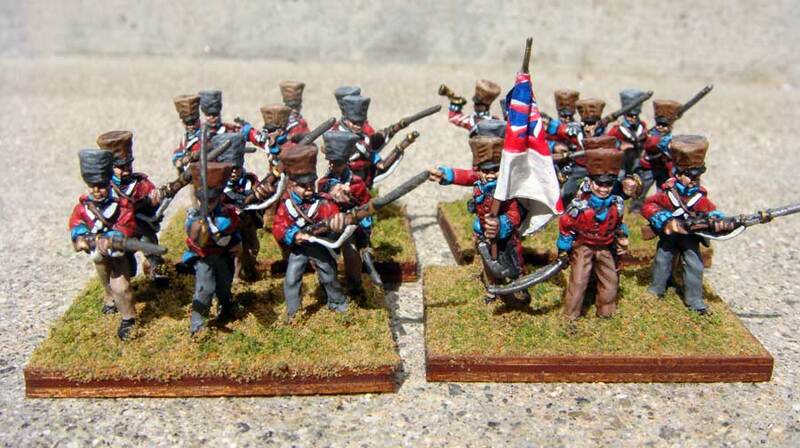 In 1818 he was sent to lead another expedition in Chile but was hopelessly outmatched by Jose San Martin. Use this pack to represent Domingo Pio Tristan, Rafael Maroto or any poor quality Royalist general.